IN THE HEART OF MILAN’S MOST AUTHENTIC AREA, JUST A FEW STEPS AWAY FROM THE DUOMO, IS LOCATED A PLACE WHERE TRADITION MEETS INNOVATION. 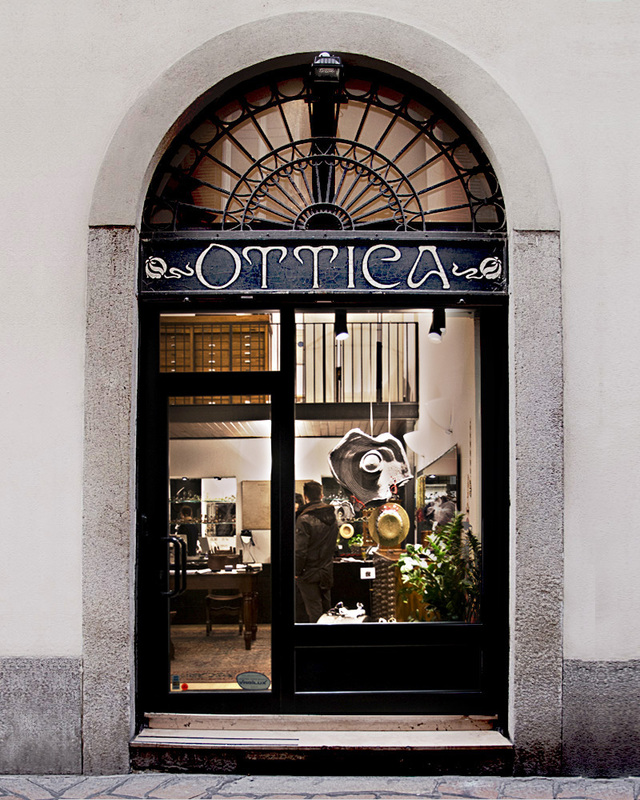 FOUNDED IN 1979, OTTICA SAN MAURILIO DISCOVERED CREATIVE FLAIR AND MANUFACTURING ABILITY IN GIOVANNA GRASSO AND SIMONE MAZZANTI (A YOUNG PARTNER SINCE 2009) FOR MAXIMUM STYLE. In a market where prevailing uniformity of products and collections offered by designer labels determine trends, Ottica San Maurilio favours a completely different philosophy. 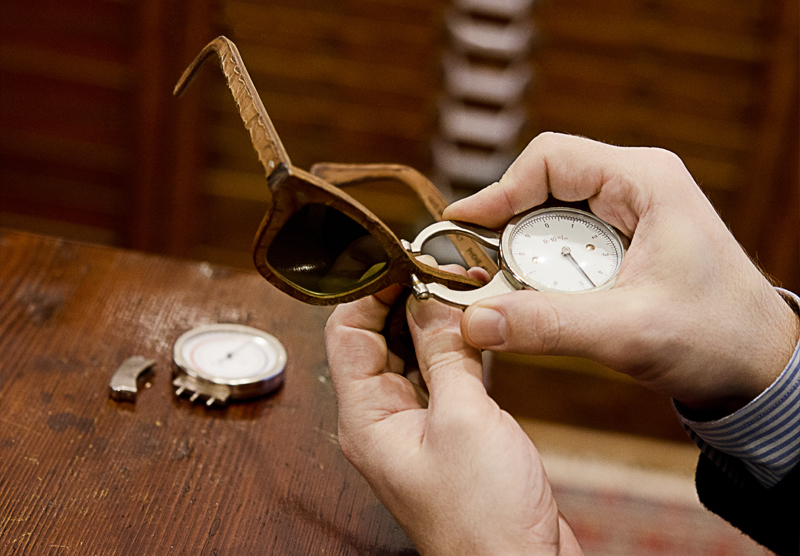 Here you will find quality lenses and glasses, no designer labels but sought-after frames, handcrafted by small businesses around the world. They are glasses that do not follow fashion, but match the personality of the individual, with the possibility of having eyewear custom-made starting from the shape and colour to the materials; horn-rimmed, leather, wood or plastic. Glasses from Ottica San Maurilio show a great attention to detail in the design and the materials used. Excellence, suitable for all. The shop is a welcoming and cosy room where nothing is left to chance. Each element has its own meaning and specific functionality. A chest of drawers from an old print shop serves as a mobile exhibition stand for the glasses. A small cabinet, fully functional since 1920, where the glasses to be tried are displayed plus Giovanna grandmother’s chairs and desk, together with the continuously lit fireplace reinforces the feeling of familiarity and “home”, encompassing anyone who enters the store. Ottica San Maurilio is a reference point for eyeglass lovers, for those who want to express themselves without restriction or labels and to feel unique. The founder of the project, lady of the house and passionate professional who made originality a lifestyle. An expert in glasses, able to understand at a glance the personality of those she faces and how to enhance their potential. Forthright and sincere as so few are and the ideal person for the most demanding customer, but also the most confused of customer, as she has the ability to always recommend the product best suited to the clients personality. The window display expresses much of her creative talent, where we can find the same attention to detail and care given to the choice of products and materials. Giovanna, up to date on market news, is always looking for goodies to impress the customers and to stay in the forefront. Co-owner of the store, Simone is the male counterpart of Giovanna. 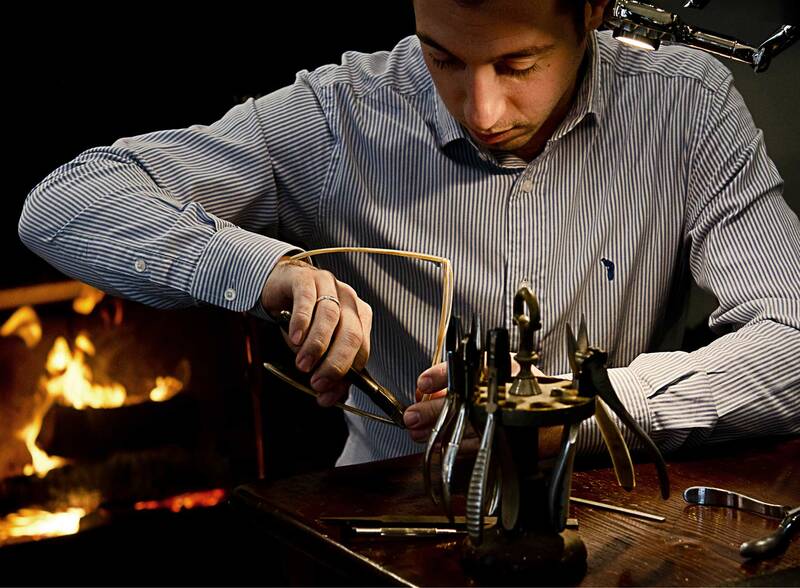 Professional precise and attentive to detail, Simone is a true craftsman of eyewear with an ability to meet everyone’s needs. As the most meticulous of “tailors” Simone, along with Giovanna, adjusts the frame until the customer feels like they are their own, made to measure for the client: to see Simone working is pleasure to the eyes. The link between past and future in him offers the highest representation, just think of the tools Simone uses, optometrist, to perform the sight tests. Alongside the latest equipment sits a vintage sight test kit; a mix that makes the whole thing special. Simone pays attention to the daily teachings he receives from his partner and teacher Giovanna. As a good student, he learns the secrets of a craft rich in history and tradition, that each day he makes personal and cutting edge.